Fireblock supply a wide range of ironmongery to suit your industrial and commercial needs including panic hardware, fire resistant, antibacterial, security enhancing, and clean room compatible hardware. Doors and frames shall be prepared for hardware in conformance with the manufacturer instructions and templates provided. Codes of practice, specifications, and relevant building regulations are also taken into account. All door hardware is factory fitted. Preparation includes profiling, reinforcing internally with minimum 3mm steel plate, cutting, drilling, and tapping of doors and frames. 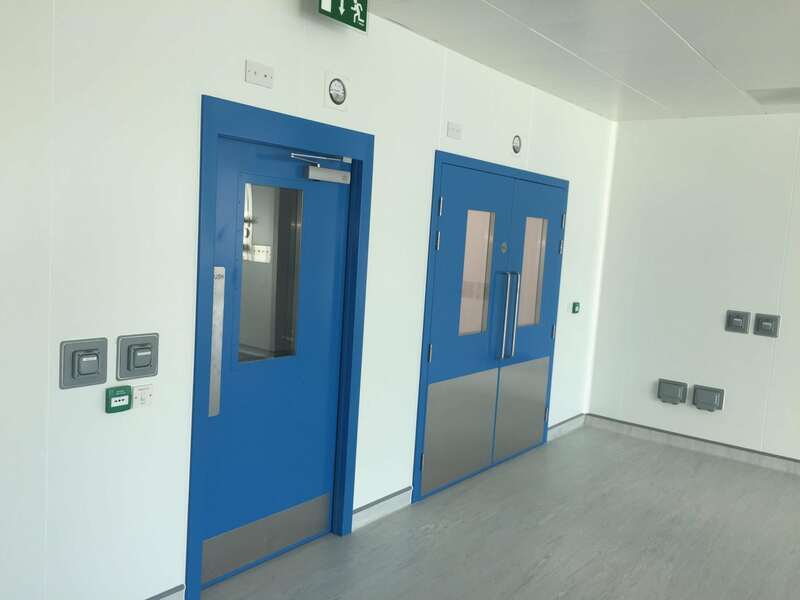 Fireblock Ironmongery can also be supplied to replace damaged or dated ironmongery on existing doors regardless of door manufacturer.